Herbert Holtzman was born in Englewood Hospital on February 6, 1936 and remained connected to Englewood, where he grew up, throughout his life. He attended Dwight Morrow High School and Purdue University and graduated from Temple University Dental School at the age of 23. Dr. Holtzman served in the Army as a captain practicing dentistry from 1959-1961, and upon completion of his service began his dental practice in Englewood, NJ. In addition to his private practice, he was the Chief of Dentistry at Englewood Hospital and had appointments at Bergen Pines Hospital and Daughters of Miriam Home for the Aged. He was also a consultant to the New Jersey Board of Dentistry, was a member, trustee and president of various professional associations and was a Master in the prestigious Academy of General Dentistry. Although he retired in 1998, which allowed more time to enjoy tennis, golf, a good book, play the ukulele, and travel, he continued to remain active in his field as a consultant and mentor. Herb’s greatest joy in life was his devoted family: his wife Chickie of 41 years, his daughters Amy and her husband Scott Claman, and Jill and her husband Mark Eisenberg, and five adored grandchildren, Max, Emily, and Sophie Claman, Jacob and Taylor Eisenberg. He also remained close with his former wife, Sheila Richter and her husband Al. 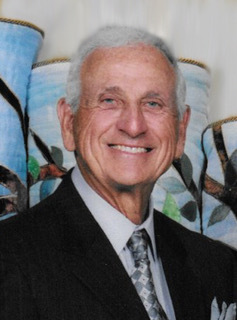 Dr. Holtzman practiced dentistry with humor and kindness and had a wonderful rapport with his patients. Most of his patients eventually became his friends. His optimism and good humor, bright smile and deep blue eyes were just something wonderful to be near. It was a great loss to his family, friends, colleagues and patients when he passed on January 8, 2017. To honor his memory and passion for providing quality dental care to all in need, Dr. Holtzman’s daughters, Amy and Jill, have partnered with the North Hudson Community Action Corporation Foundation to establish The Dr. Herbert B. Holtzman Englewood Dental Center. Charles J. Pillar, D.D.S., P.C.